The seasonally adjusted Absa Purchasing Managers’ Index (PMI) rose by 0.9 index points to 44.9 in September 2017. Despite the second straight improvement, the index remained well below the neutral 50-point mark for a fourth month. Encouragingly, the rise was supported by the key subcomponents, with four out of five increasing compared with August. Greg sat down with ScoutRFP. In part 2 of the conversation, Greg unpacks three ways companies can work to change sourcing behaviours – and gain street cred in the process. Smart Procurement World topic highlight: How cross-functional collaboration in the strategic sourcing process can deliver savings beyond expectation, even in a very mature category. Presented by Mike Machell-Cox, Director Indirect Procurement, Sappi Europe. The seasonally adjusted Absa Purchasing Managers’ Index (PMI) had a tough start to Q3 2017, declining by 3.8 points to 42.9 in July. The headline PMI was last at such a depressed level in the second half of 2009 - a period of very weak underlying economic performance. All five of the major PMI sub-indices declined in July. 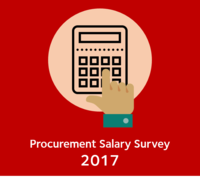 A survey conducted by the Ayming Consulting Group, found that more than half of the procurement executives (51%) interviewed do not think their current procurement model is effective. The survey involved a number of executives from different size businesses, across a range of sectors. The survey of 200 executives - including CEOs, CFOs and CPOs - found that only 17% of respondents thought their business's procurement function was "entirely strategically focused". Fewer than one in five, thought the function had driven significant value for their organisation in recent years. The seasonally adjusted Absa’s Purchasing Managers’ Index (PMI) declined from 51.5 index points in May 2017, to 46.6 index points in June 2017. The Bureau of Economic Research (BER) said that “the deterioration was broad-based, with four of the five main subcomponents moving lower, compared with May.” The BER added that “the recent volatility is probably driven – or at least exacerbated – by continued uncertainty about the outlook for the domestic economy.” The uncertainty likely results in more erratic domestic orders, which may filter through to more volatile output patterns on a month-to-month basis. Running a successful business is stressful. Very stressful, in fact. Arguably the biggest challenge facing chief procurement officers and procurement managers is cashflow. Ensuring that you have the right stock levels without sacrificing pricing, or incurring wastage, will go a long way in alleviating month-end pressure. Open communication between the procurement- and finance departments will more than likely prevent crises of oversupply. In this month’s SmartProcurement, Ian Hendry - Corporate Card Product Manager at Nedbank Corporate Card - explores five ways to help you streamline your procurement process, and improve your procurement function. The seasonally adjusted ABSA Purchasing Managers’ Index (PMI) slumped in April 2017, after a solid performance during Q1 2017. The index fell to 44.7 index points from an average of 51.9 during Q1.